Twomey Latham is dedicated to achieving the objectives of its clients through excellent judgment, advice and legal representation. We are proud that Martindale-Hubbell Law Directory has given the firm its highest rating for legal competence and professional reliability. 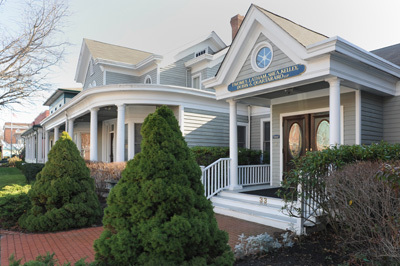 The firm’s main office, which is located next to the New York State Supreme Court in Riverhead, was established in 1973. Over the years, the firm has expanded to become the largest law firm in eastern Suffolk County, with a 65 person staff of attorneys, paralegals and legal assistants and five offices across Long Island. Our firm has acquired the depth and knowledge to handle the most complex legal matters, yet we are still small enough to recognize the importance of each client. The firm realizes the importance of being an active part of the Long Island community. Charitable giving and community service have been at the core of the firm since its inception. The firm has established a Charitable Giving Committee because it believes that “giving back” and helping others are fundamental responsibilities and obligations for all of us, especially those in the legal community. The firm supports a wide range of charities and community organizations and it awards scholarships each year to graduating high school seniors in Riverhead, Southampton, East Hampton and Southold.